On thing that surprises new users of Adobe Dimension is that when you choose File > New to create a new file, you aren’t asked for a file size. For a product named Dimension it doesn’t seem to care much about dimensions! But the width and height of your Dimension file does make a difference and you need to pay attention to this. 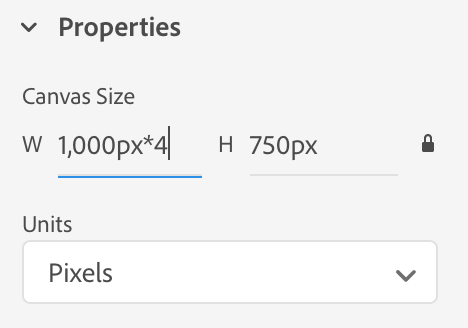 When a file is open, click somewhere outside of the canvas, and in the Properties panel you’ll entries for Canvas Size width and height. If you’re creating a Dimension scene for a real-world project, you certainly have specific size requirements. Let’s say you need the final file to be 4000px wide by 3000px high. Dimension is capable of this, but you might not want to begin your project at these dimensions. This is because the dimensions of the canvas have a big effect on rendering speed. So, in the early stages of a project, you might want to work at a lower resolution, but the same aspect ratio as your final requirements. So in this case, I’d work at 1000px x 750px size while I determined where to position my models and the basics of lighting and materials. This would allow Dimension to produce low-quality renders quickly so that I can see how the file is developing. Then, once I’m confident of the direction that I want to take, I can increase the resolution of the canvas. Since the 3D models are vector, they will scale up cleanly to fit the new canvas size and you can continue working and complete your scene. You can do math in any numeric field in the Properties panel. So a good way to scale up the canvas is just to enter the multiplication sign (an asterisk) followed by the multiplier. 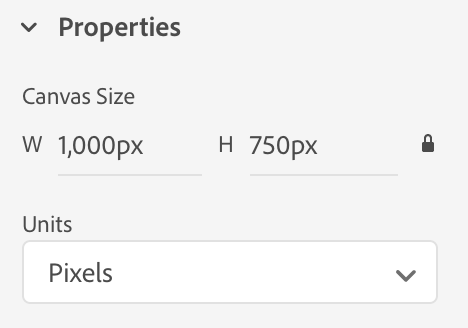 If you click the small padlock icon to the right of the height field, the canvas will be resize proportionally. 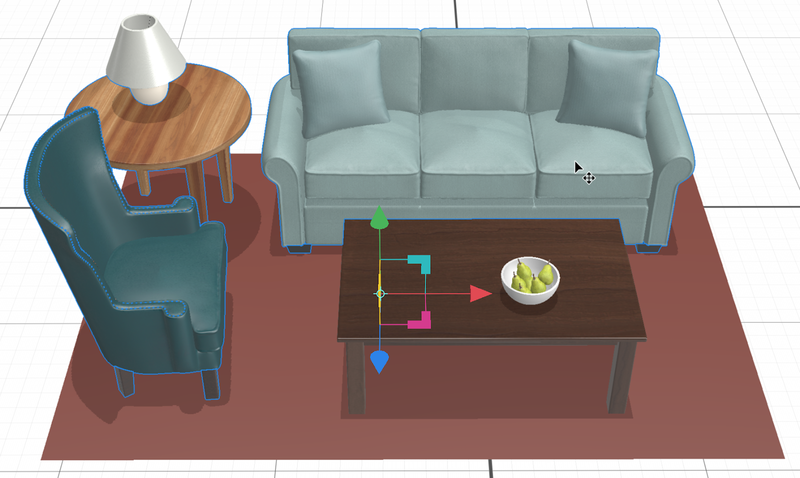 Want to learn more about Adobe Dimension? I wrote the book! See my Adobe Dimension CC Classroom in a Book recently released by Adobe Press. Selecting models in Adobe Dimension is similar to selecting objects in InDesign or Illustrator, with a few unique differences that you might find confusing at first. I've put together a short video to help you understand the various ways to select models in Dimension. 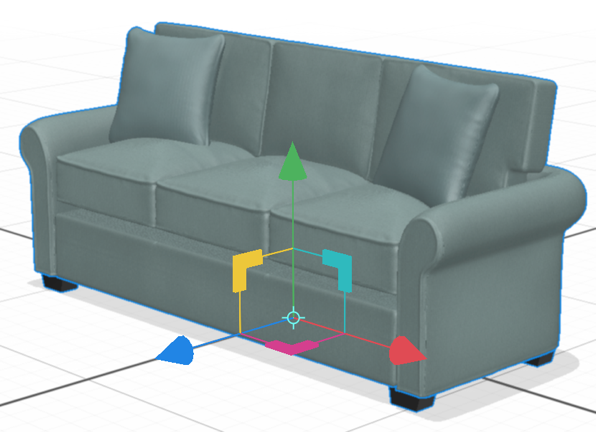 Want to learn more about Adobe Dimension? See the Adobe Dimension CC Classroom in a Book that I wrote for Adobe Press. 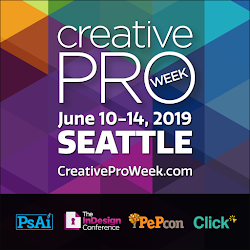 In order to use Adobe Dimension effectively you need to know how to use the “transformation widget” to move, scale, and rotate models. I’ve put together a video that will help you understand how to use the transformation widget with the Select and Move, Select and Scale, and Select and Rotate tools.